French School between 1877 and 1897. 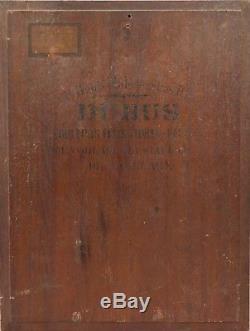 Brand of fabric and panels dubus (back). Old label on the back bearing the number 35. The mark of the manufacturer of panels "dubus" indicates a dating between 1877 and 1897. 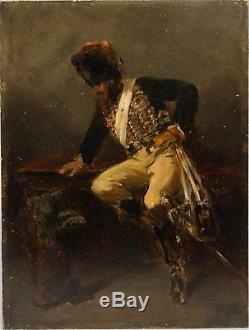 Several painters of genre scenes were sourced in those years from this merchant including edouard armand-dumaresq, painter of military and military scenes and dogs as well. The item "French school of the nineteenth officer of the Imperial Guard playing with a dog" is on sale since Thursday, December 7, 2017. It is in the category "art, antiquities \ art of the nineteenth and before \ paintings, enamels". The seller is "galeriedequelen" and is located in / in paris, ile-de-france.